A four-pack of new aluminum 2.5 lb. 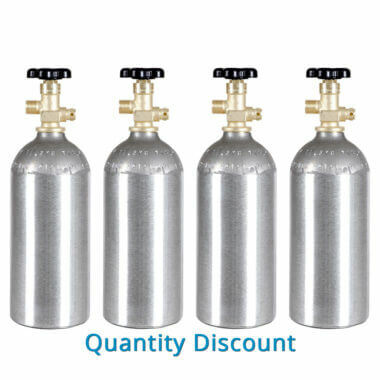 CO2 cylinders at volume quantity pricing. 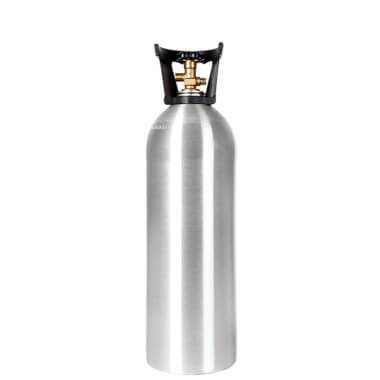 Save big on great high-performance, lightweight, go-anywhere CO2 tanks. For easy transport and outstanding performance anywhere, nothing beats an aluminum 2.5 lb. CO2 / Carbon Dioxide cylinder. 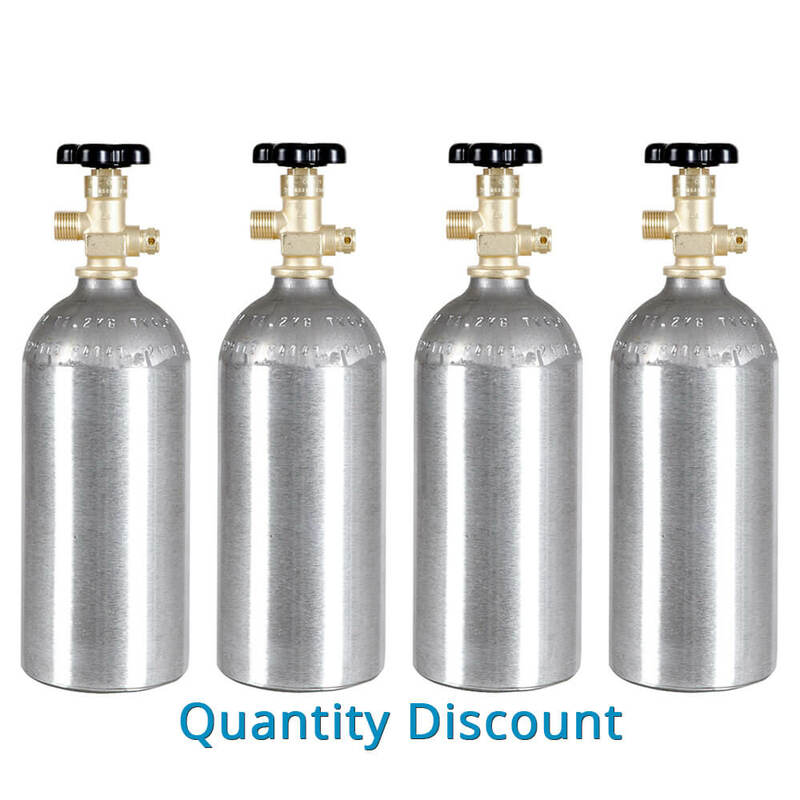 GCS is proud to offer four of our high-quality CO2 tanks at unbeatable volume prices. Price-smart and performance-packed, each 2.5 lb. 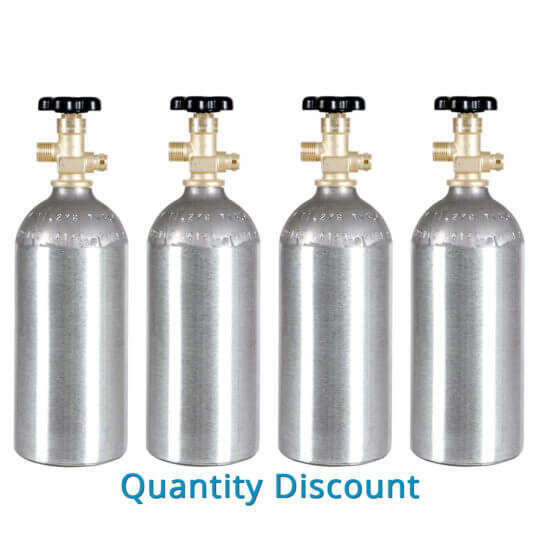 tank delivers all the quality details you demand for reliable CO2 supply day after day. Brushed finish on thick, durable cylinder walls. 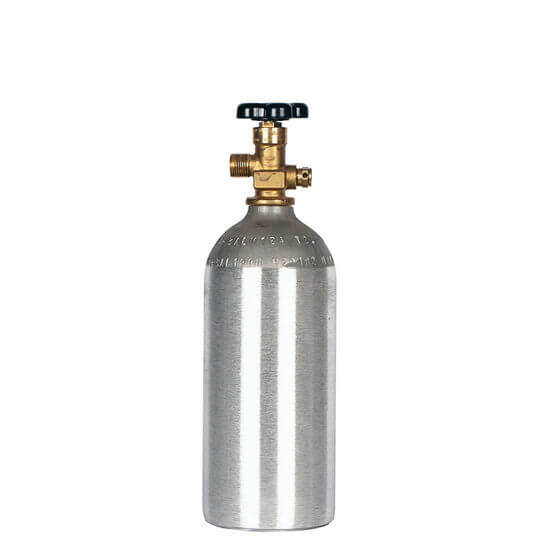 Please Note: All aluminum CO2 cylinders are sourced from several manufacturers. 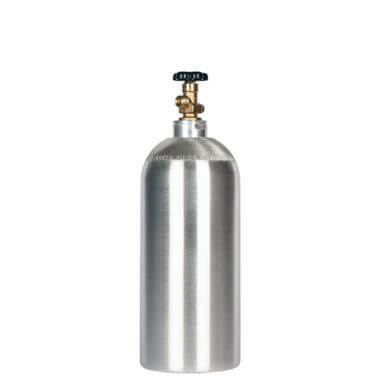 As a result, the cylinder you receive may have a brushed dome or unfinished dome. We apologize, but we are unable to take special requests at this time. Find this CO2 cylinder and other top-quality CO2 tanks on the CO2 cylinder page.